Americans are living longer than ever before thanks to rapid medical advances and better access to healthcare. However, longer lifespans do not necessarily mean that people will be able to enjoy lengthier retirements. For example, 65 is considered the traditional age of retirement but almost a third of Americans age 65 to 69 are still working, according to U.S. Bureau of Labor Statistics (BLS) data, and around a fifth of individuals in their early 70s have yet to fully retire. Some of these people are fortunate enough to enjoy their professions so much that they do not wish to retire but for many others it is a lack of savings that is keeping them from exiting the workforce. That is not too surprising since the median working age (25-64) U.S. household has just $2,500 in retirement assets. 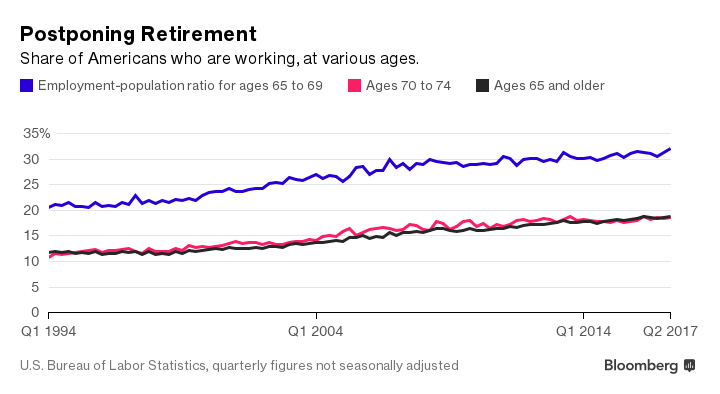 What is worse is that common old-age outlays are becoming costlier each year. A new working paper from the Center for Retirement Research, for instance, estimated that the average out-of-pocket (OOP) expenses for Medicare recipients totaled $4,274 per year in 2014 (most current data available). That left the typical retiree with only 65.7 percent of his or her Social Security benefit after OOP spending, and nearly a fifth (18 percent) had less than 50 percent of their government benefit remaining. Such figures imply that many retirees will likely feel that making ends meet is a challenge unless they have a large source of income outside of Social Security, e.g. substantial 401(k) savings. Perhaps more concerning is that the above estimates do not even account for long-term care costs, a growing outlay for many retirees. Indeed, long-term care has to do with the services and supports necessary to meet health or personal care needs over an extended period, e.g. care for chronic illnesses or disabilities. The U.S. Department of Health & Human Services estimated that 70 percent of people turning age 65 can expect to use some form of long-term care during their lives, and these expenses can be significant. Just look at the updated data from Genworth which showed that the median cost for a semi-private room at a nursing home was over $85,000 in 2017, and the annual cost for assisted living facilities and home health aides exceeded $45,000. Altogether, retirement seems likely to only become more expensive as lifespans continue to increase and care-related inflation remains elevated. This should provide another reason for Americans to avoid procrastinating with their long-term savings. It may also be beneficial to regularly consult with a professional financial advisor in order to “stress test” one’s retirement plan and make sure that current savings are on track to cover any adverse financial scenarios that could occur in old age.